100% organic and certified with the official German government organic seal! Obtaining high-quality foods that are not produced with many fillers or artificial colors and flavors can be difficult. Nyos now has organic balanced food that is perfect for any saltwater fish. The medium-sized soft pellet (0.9mm - 1.5mm) is the ideal size for most clownfish, tangs, blennies, damsels, angels, or other fish that do not have a small mouth. 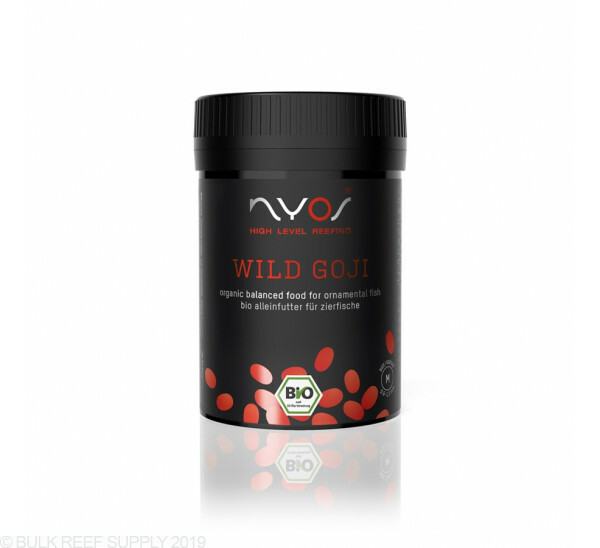 Nyos Wild Goji is made of organic materials that contain high amount of vitamins, carotenes, and xanthines helping your fish's natural colors shine through. It is suggested to feed as much as your fish will consume in a 3 minute period of time up to 3 times a day. 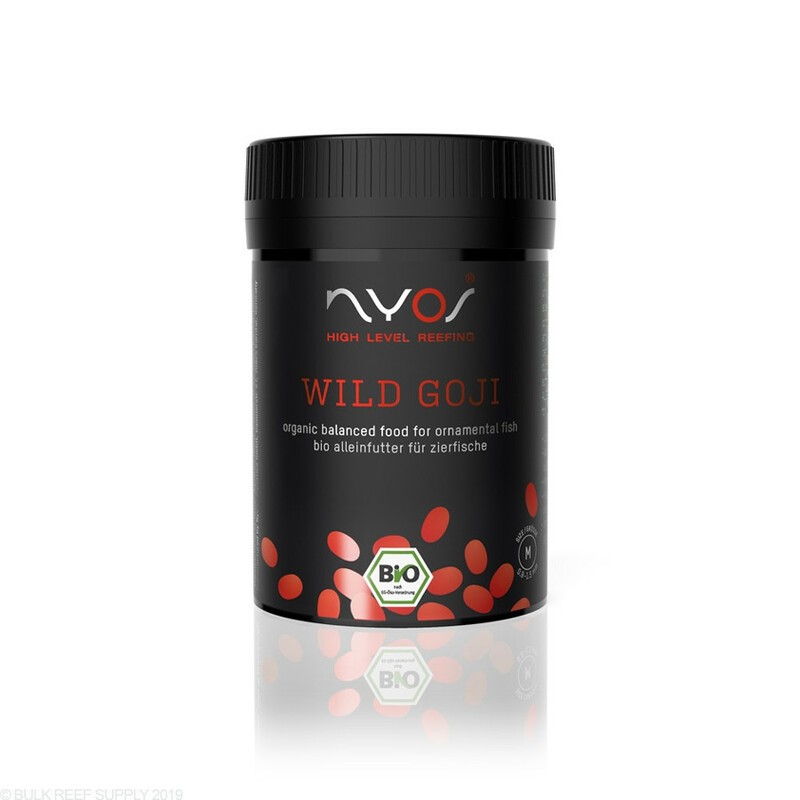 Nyos Wild Goji should be used in conjunction with other Nyos foods for a healthy balanced diet. Ingredients: fish meal, glycerin, soja cake, wheat, sunflower oil, goji berries, paprika extract, aloe vera juice, linseed oil, hempseed oil, pumpkin seed oil, vitamin E, zinc, vitamin A, vitamin D3. My Fish love this food. Out of all of the NYOS pellets they seem to really take these ones the best. I alternate between all of them. Great foods. The nutrition stats are great and its organic. I'm really happy to see the fish foods are starting to become wholesome and healthy. No more fast food flakes. i never thought my reef fish had the spirit of piranha’s until they had this! they love this food! My fish love this stuff and it doesn’t cloud the water like flakes or blended food would. Anemones like it too apparently.